This website is a survey of new projects and ideas from around the world. They share a common interest in using new media technology to help people in developing countries face the challenges in their lives. 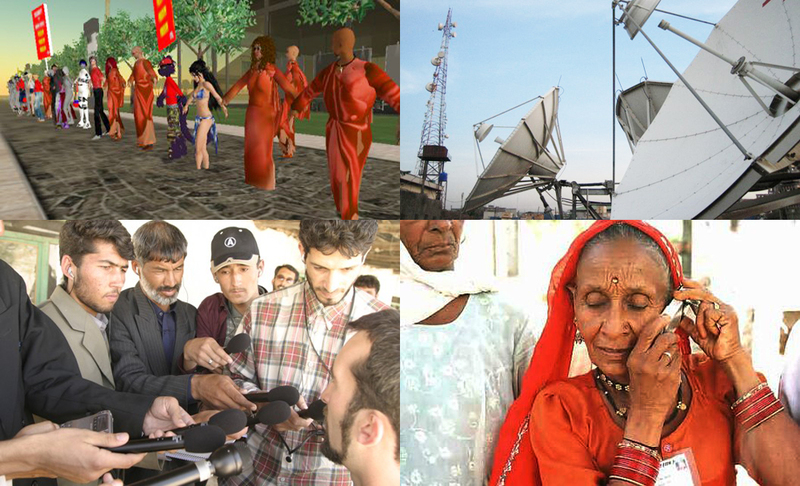 New forms of interactive online media and their uses in China, India, Syria, Iran, and Myanmar. The cell phone is being used to redefine local markets, community health, education and alert communities to disaster. Projects focus on Rwanda, Sri Lanka, Nigeria, Myanmar, Pakistan, Kenya, China, and Bangladesh. Community radio and public service television offer new approaches for reaching isolated and marginalized communities with exciting development initiatives. Projects discuss India, Afghanistan, the Balkans, and South Africa. The infrastructure for communications helps to define both the content and the limitations. This study analyzes the different public and private stakeholders in African Information and Communications Technologies (ICT). It is a look at continent-wide trends, including Ghana and Nigeria. Click to these pages and you will find descriptions of developments in this field. Scroll down to the blue button and click through for descriptions of individual projects. You will find a rich offering of links, photos and videos to expand the content. You may also search the site through the Search function to the left, by country, such as "Ghana," or by technology, such as "radio." You will notice that this site includes many voices and many differing international perspectives. This reflects the international nature of its student authors, who come from over a dozen different countries. (See "Class Members" on the menu to your left.) Their work serves as a valuable reminder that different cultures approach new media with different values, goals, and reservations.